“How do you choose to experience yourself?” “With this simple question, Pam has assisted me to choose; to experience freedom, empowerment and the great love that is within me. As a teacher, counselor, mentor, healer and channel, Pam seamlessly moves within these roles to help me live a joyful life. She has taught me about balance, being grounded and integrity. With her guidance, I was able to examine my beliefs about self worth and acceptance, and choose what I believe is true for me now. 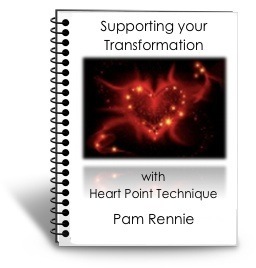 The unique value of remote sessions enabled me to have a more personal soul-to-soul connection with Pam. I found I could let my ego drop away and be more authentic in my questions and responses. Being in the comfort of my home allowed me to be more fully present and to receive the healing and guidance with greater ease. “You provided the road map, now all I have to do is follow it. So thank you. You’re very kind and a very good teacher and healer. I enjoyed working with you.” Sara W.
“Thanks again for such a wonderful class yesterday! Today while I was in attendance at the funeral I mentioned….I was actively using all the energy tools. I found myself very purposefully a bridge between Heaven and Earth just holding the space of Love and Compassion and Truth. I felt amazingly strong throughout the Mass and was not swept away by the sadness I was observing all around me. I just was aware of MY Presence as an offering to be channeling Love. It was awesome.” Catherine M.
“I just did the meditation from Archangel Michael that you channeled, went to your website for the first time, and checked out your blog for the first time. What an inspiration you are! I feel that if I just stay with your meditation, I will be able to make positive changes and move on in my life letting go of feelings of unworthiness, self-doubt and things that are holding me back. I am very grateful.” P.F.O. “My healing and restoration journey has taken me to many women since 1998. You are the one who has shown me more than I could even imagine or realize. I’m still in awe each time I have a session with you. The Mastering Alchemy is the biggest one for me now! The tools assist me in so many ways. I laugh now and enjoy the joy!” justine j.
Debbie felt she should be excited about going away to college, but instead she was filled with anxiety and dread. She didn’t eat the first 3 days there and couldn’t stop crying. Her stomach hurt all the time and all she could think about was dropping out and going home. Each day was getting worse, she was vomiting and filled with fear and dread. After 2 weeks and no let up, I contacted her to see if she would like to try an HPT session. She was desperate for help and said, yes. She was home for the weekend and since she lived by we did the session in person. We set the intention of the session to clear the emotional trauma so Debby could make a clear decision about staying in school or dropping out. HPT cleared Debby’s dread, anxiety and fear down to a 1 in one session! She tapped in an empowering statement and left with guidance to help her remember to stay empowered in her new statement. I also recommended flower essence and an essential oil to support her and help anchor in the new empowerments. The full success story: Not only did HPT heal the emotional trauma for Debby, she stayed at college finishing the semester with very good grades (and without all the anxiety too!). She decided to enrol in the local community college for the next semester; with a different major-a decision made with clarity not out of fear! Update: Debbie has continued to be free of the past anxiety and dread. She continued on at the local community college; moving out of her family home and sharing a house with 3 girlfriends. Her latest update is she will be spending the 2013 summer semester studying abroad! That is a success! This word is present in many ways in Susan’s life she says, but mainly of herself and boyfriend. The intensity level of this issue was a 10. When we tuned in Susan found she was feeling this as heart and head pain. As we continued on in the session I saw bands around her heart. It was being constricted from her own emotion and thoughts. Also her left brain appeared huge from “over analyzing every single thing”. She needed full clearing of thoughts and of her energy field. In assessing the situation for the contributing cause I saw what was allowing her to stay stuck in cycles of creating impossible (untrue) life stories. During the session we drew in the light, we cleared many strings and attachments, energies, patterns and habits. We brought in balance and harmony for the brain and encouraged more right brain activity. A surprise visit and channeled message from Mother Marybrought such comfort and loving words of guidance as well as a wonderful healing shift of Susan’s energy. This was a deep pattern of habit that changed; the feelings and emotions shifted from jealousy to anger and other thoughts and emotions and were constantly being fueled by her thoughts and negative energy. She was “thinking” the worst about her boyfriend with no cause except her own thoughts. Always feeling he didn’t love her and was going to leave her. By the completion of the session her intensity rating was at a 0. Susan reported that this session showed her the power of her thoughts in a way she had never seen. She learned how much Thoughts matter. She was creating her own pain and “scary stories about her boyfriend” with her negative thinking and attitude. I had Susan Tap into the consolidation point at the back of her head and speak: “Freedom-I am free to be on my path. And BELIEVE. Several months later Susan reported she has been successful moving forward and her relationship was doing much better; both with herself and her boyfriend. What in the world does a Sore Throat and the 4th of July in common? As a long time client, Julie calls on me for healing and clearings of physical illness to emotions through HPT and energy work. She called on July 2nd with the start of a sore throat. can be cleared. This time there was SO much emotion I was stunned. released, yet Julie responded and seemed to feel better. different this time: Julie who started out feeling better began to feel worse. she was in her own way of healing. more times in my life than I could even count. I let Julie know of the intuitive message about her being in her own way. yet she felt so poorly and the pain in her throat made talking difficult. I offered to hold a remote session for her. I asked her for a pain rating on her throat (an 8) as a reference point for improvement. the way of her healing this sore throat. and also looked at her immune function-very low, due to the emotional baggage. From the start the HPT session was amazing. of Divine energy grew stronger with the healing of each issue. I could feel the joy from the many souls involved in this healing. I checked in with Julie to update her and get a rating; she was at about a 6. I went back into the remote HPT session. Another Ancestral lifetime comes up. to get home to his wife and children suffering illness back home. “freeze” not able to fully function as designed. I checked in with Julie. Her spirits where up and her voice sounded better. She reported being at level 4. I asked, if she gotten a message about what was blocking her healing? She said yes; she felt a block in her ability to feel Self Acceptance and Self Love. block to Self Acceptance and Self Love together over the phone the next day. with great success awakened her Self Acceptance and Self Love. she received thanks to HPT.